Meet our Keynotes, Town Halls Announced, and more! 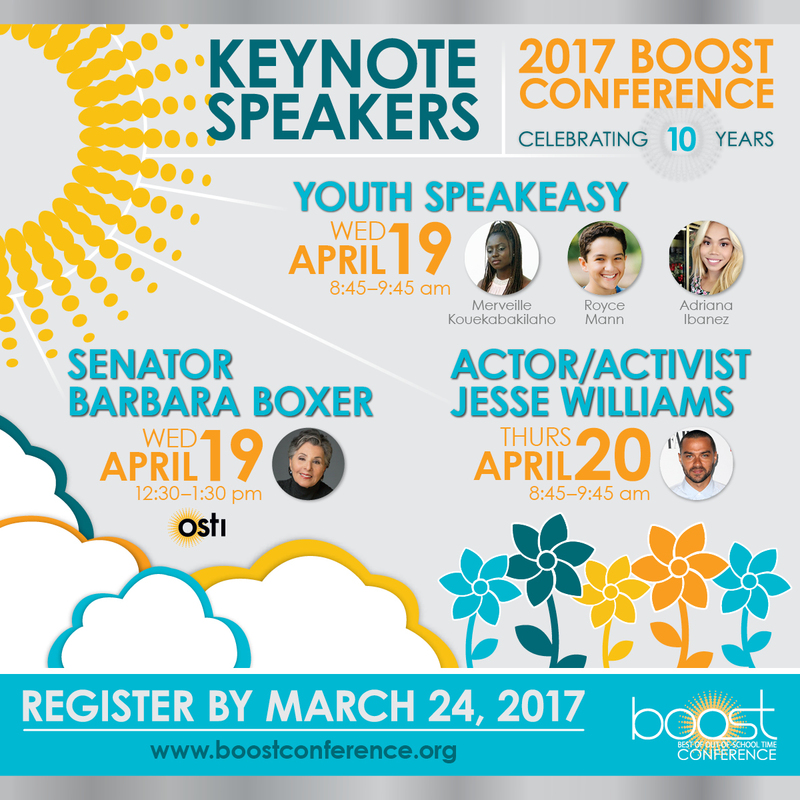 The BOOST Conference is next month! We have announced our keynote speakers and are thrilled to welcome Senator Barbara Boxer, Actor & Activist Jesse Williams, and our Youth Speakers: Merveille Kouekabakilaho, Royce Mann, and Adriana Ibanez. Remember to register your team by the March 24th deadline. We have three General Sessions and are currently soliciting questions for our speakers. Youth Speakeasy - We have 3 high school students that will be speaking during the opening session. We will not be doing a Q&A with the audience, however, we are asking for people to submit questions for the students, as they will be participating in a TEEN TALK workshop session immediately following the general session. Barbara Boxer & Jesse Williams will both participate in an audience Q&A. As we are not offering real-time questions at the conference, be sure to submit questions ahead of time! Deadline: April 1st, 2017. Please share with your networks - even if people are not attending, we encourage them to submit questions! Thank you! Breakout EDU is an immersive games platform for learners of all ages. In Breakout EDU games, players work collaboratively to solve a series of critical thinking puzzles in order to open a locked box. Each Breakout EDU starter kit can be used to play hundreds of games. This year, they are inviting BOOST Conference attendees to enter to win a free kit! They will select one winner after the conference. 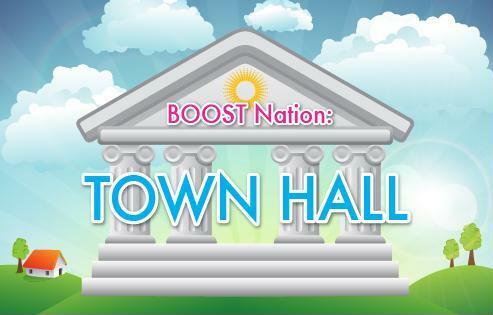 BOOST NATION Town Hall meetings are informal public meetings scheduled throughout the conference with national leaders. Everybody in the out-of-school time community is invited to attend, voice their opinions, share issues and challenges, share promising practices and hear the responses from public figures and elected officials about shared subjects of interest in your community. A 6th hotel has been added for the BOOST Conference. 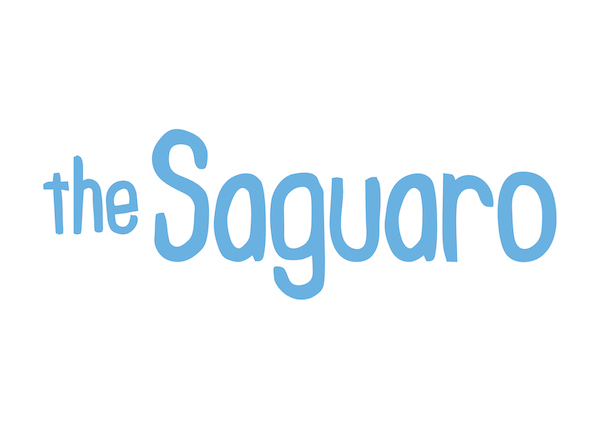 The Saguaro hotel is the only remaining hotel with availability at the conference rate ($159/night). STEMfinity offers hands-on resources targeted to PreK-12 students learning STEM, Robotics, 3D Printing, Drone Technology, Rocketry and beyond. 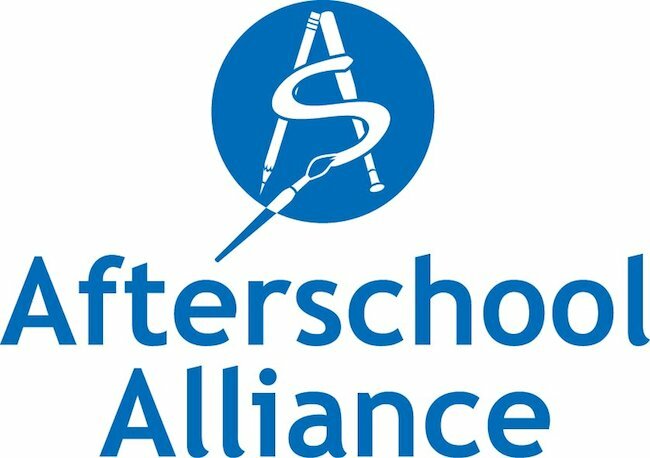 STEMfinity provides STEM Professional Development and STEM Product Implementation for educators/administrators in a variety of Afterschool, Makerspace, and Summer Enrichment settings. STEMfinity will STEMulate your mind! The deadline to register for the BOOST Conference is March 24, 2017. Register here. 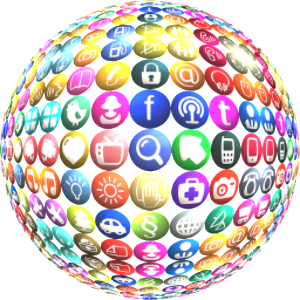 Follow us on social media to hear the most up-to-date 2017 BOOST Conference news first! 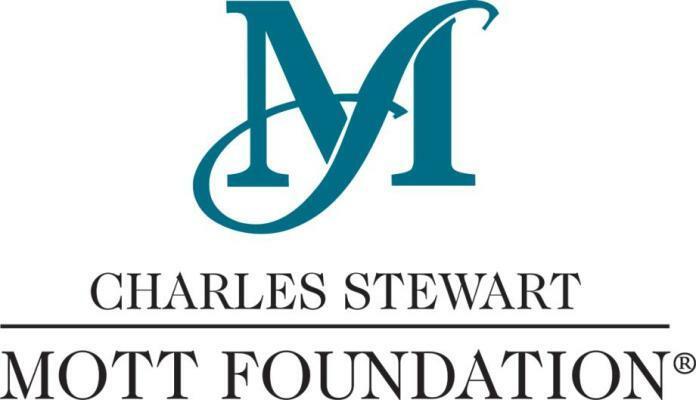 You are receiving this email because you expressed interest in our professional development services, events and/or resources, attended a BOOST Collaborative training event, or you opted-in to receive this via our website. To ensure that you receive our newsletter in your inbox, please add info@boostconference.org to your address book. © 2007-2017 Enoki Events, LLC. All rights reserved. BOOST Best of Out-Of-School-Time Conference® and logo are registered trademarks of Enoki Events, LLC. Please don't steal our stuff- it's not cool and it's against the law.